The Seven Essentials: BABY CARE | Nascent Naturals Inc. Babies – they’re sweet, innocent with soft, supple skin and sensitive noses that are… vulnerable. The first years are critical to develop healthy epidermis that provides warmth, protection and strong immunity. We shield them from the sun, extreme cold, heat plus numerous pollutants, chemicals and toxins to ensure this happens gradually. Everyone aspires to have baby soft skin. And why not? An infant’s skin is very delicate and regenerates at a rate far faster than any adult. This allows for more complete healing even serious wounds and skin conditions that will not happen as we age. 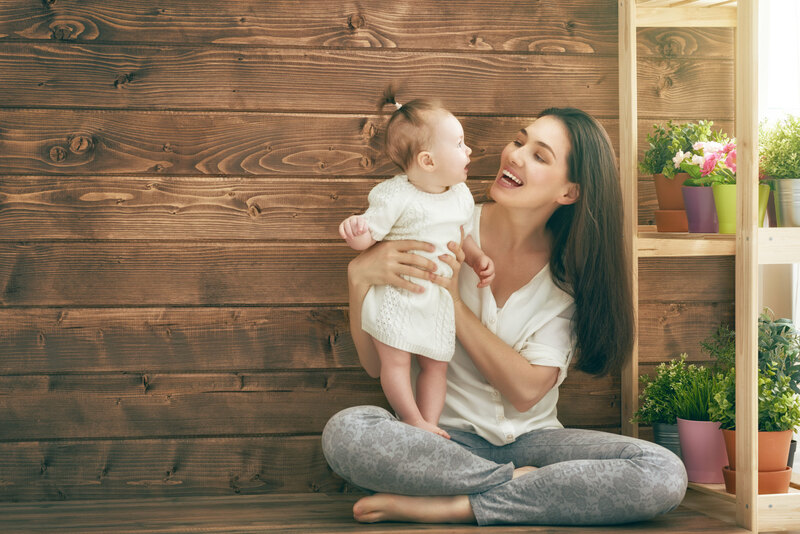 However, infant skin is dramatically different than an adult and should be treated with gentle care, discerning what products and ingredients touch the skin. There has been a sharp increase in atopic dermatitis cases in infants in the past few decades, likely due in part to the boon of available products targeting this ever-budding market. So, what about essential oils? These little naturally occurring chemicals obtained from plants would seem to a great choice but are they safe? Are they effective? Are they necessary? To answer, read on. A disturbing trend in the world of essential oil use has adults applying pure oils to their skin which is hazardous enough on mature, well worn skin but also seem to think that this practise is safe for babies. This could not be farther from the truth. It’s not that you shouldn’t uses essential oils, it is that there is only a small selection of them which are suitable. Then they should be very well diluted to not cause irritation. Following is seven of our favorite safe gentle oils to share with you and your bundle of joy. Chamomile Roman – For what is one of the safest oils, it sure has some scary sounding chemistry such as Isobutyl angelate, Butyl angelate and farnesol; but don’t worry these are very skin friendly and provide that sweet aromatic profile that will be pleasing to the little one’s nose as well. Immortelle – Like a hearty soup, this essential oil has a little bit of everything useful to help the skin in the gentlest way. Nerol, geraniol and nerol acetate are just a small offering of what makes this oil one of the best for any issues. No known contraindications make it a safe bet for any use. Neroli – A lullaby in a bottle to round off any cranky time. Alcohols such as nerolidol and geraniol and esters such as neryl and lnyl acetate create a hypnotic blend for both mom and baby. Sandalwood – Yet another oil with unique chemistry that is gentle sweet and soft. Santalenes and santalols may mean nothing to the little one right now but will help to sooth any minor eczema or cradle cap issues. Jasmine– This beautiful oil gets its sweet exotic aroma profile from a unique blend of diterpenes and serious helping of soothing esters such as benzyl acetate and will appeal your child’s expensive taste. Lavender alpine – That all dependable combination of linalool and linyl acetate has done wonders for delicate skin for hundreds of years and babies are no exception. **Any of the above oils purchased from a reputable source in 10% dilution will do just fine. When using essential oils on babies and infants up to five years, the KISS principle (Keep It Simple Sweetie) should be used. As mentioned several times already, only a few essential oils are appropriate for their delicate skin and noses, and while these are some of the most delicate and safe oils to use, they should be heavily diluted. While skin is a big focus, don’t forget that a baby’s little nose and sense of smell are fragile and in state of development. The oils chosen are gentle enough for these applications but should still be used sparingly. Do NOT bombard a baby with oils in a diffuser for extended periods of time. One drop of any of these oils near a fan or vent once a day would be more than enough. Mix together in bottle with 1 drop dispensing cap. Use 5 drops in bath. Add to small bottle with one drop dispenser and shake well. Apply 1 drop of mixture to cradle cap, minor eczema or other small irritations. Keep away from eyes.